Punjab chief minister Amarinder Singh said it was clear the Pakistan Army was calling the shots, and said the country was fed up with the senseless killing of soldiers. 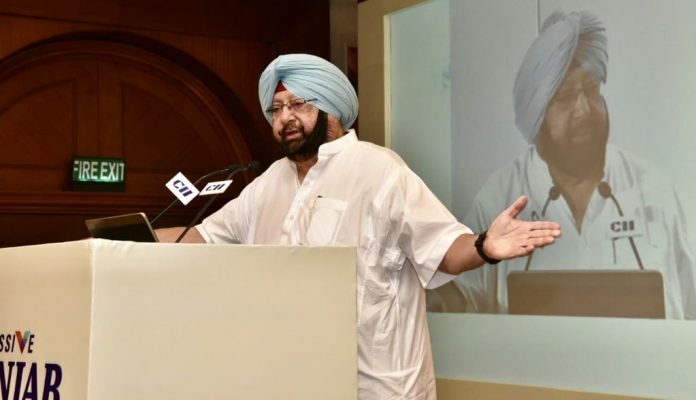 Chandigarh: Asserting that the entire country was “fed up” with the senseless killings of Indian soldiers in Kashmir, Punjab Chief Minister Amarinder Singh on Monday called for coercive action against Pakistan, which, he suggested, could be military, diplomatic or economic, or a combination of all the three. Calling for the death of two “of them” for every Indian soldier killed in Pulwama attack, Singh said it’s clear that the Pakistan Army was calling the shots, with Prime Minister Imran Khan also a “plant” of the military. “We should get 82 of them since 41 of our men have been killed,” the chief minister asserted, demanding an “eye for an eye, a tooth for a tooth”. measures have to be taken urgently. “India wants it now,” he said. “No one is asking anyone to go to war, but these killings of soldiers are not a joke. Something has to be done. I’m fed up, the country is fed up,” he said, according to an official release issued here. “Pakistan can’t hold India to ransom just because they are a nuclear nation, even we are nuclear,” he said, asserting that Indian forces had defeated them during the 1999 Kargil war in spite of their nuclear capability. In any case, Islamabad could never resort to use of nuke weapons, as international pressure would not allow that, he said, suggesting New Delhi should call Pakistan’s bluff against such threats. There is palpable anger across the country after the killing of CRPF jawans by a Jaish suicide bomber in Pulwama, he said. “If they (Pak-backed terrorists) kill our soldiers, we have to do something,” he said. The statement of the Punjab CM came just days after his Cabinet colleague Navjot Singh Sidhu called for dialogue with Pakistan even after the Pulwama terrorist attack. Sidhu had condemned the “cowardly” attack by the Pakistan-based terrorist group but he also called called for dialogue to find a “permanent solution” to end the bloodshed. Calling for a proactive role in destroying the safe havens of terrorists, Amarinder Singh, a former serviceman, said terrorist organisations within Jammu and Kashmir have to be dealt with. He said the Army should go after Jaish-e-Mohammad in Kashmir, instead of firing pellets and blinding youth. “Let’s win their (youths) hearts and minds with love,” he said. The chief minister also said that questions are bound to be asked on intelligence failure in Pulwama attack and the central government will have to answer them. He called for a global diplomatic offensive against Pakistan, mooting harsh measures to put a lid on Islamabad’s anti-India actions. The surgical strikes had not achieved the desired objective, he said, adding that Islamabad needs to be made to understand that Indian soldiers are not dispensable.